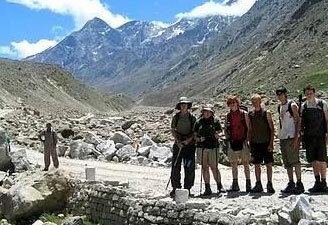 For the trekking enthusiast India is waiting with its challenging and breathtaking trekking trails. Discover the uncharted tracks made by nature. Come directly in touch with the local countrymen and appreciate the beauty of the nature. Walk around the jagged splendor of the haughty peaks; woo the shining waterfalls cascading down and experience the thrill of sheer adventure amidst the India’s most beautiful places. 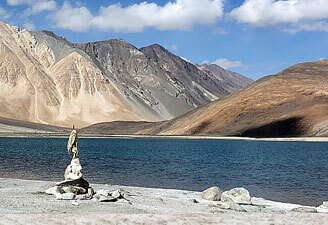 There are many places in India where you can go for trekking. Garhwal have many places which are very interesting for a trekker. From Gunhill, the second highest point, Mussoorie looks like a carnival of colors. 400 meters trekking path is full of excitements and thrill. 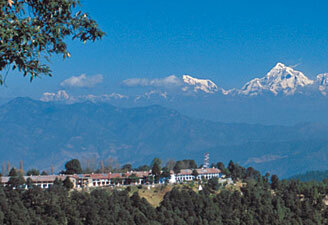 Dehradun is also an excellent gateway, with its 1880 sq. 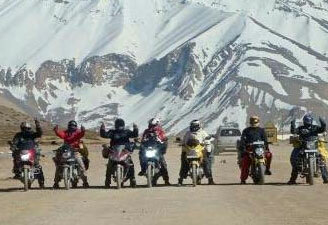 km spread from the Himalayas in the north, the Shivalik range in the south, for adventures into the Garhwal Himalayas. Badrinath is a much popular trekking path amongst the domestic peoples. 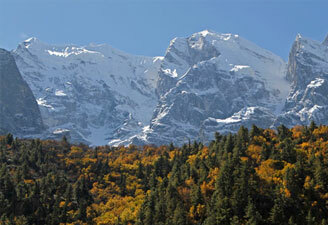 In the Himalayan region itself they have many good trekking routs. Dharamsala, Baijnath and Palampur and Pir Panjal are some famous trekking ways of Himachal Pradesh. In the lap of the Himalaya one can trek from the Tapovan to Shivling trek, Darma Valley trek, Pindari Glacier trek, and Nanda Devi and Milam Glacier trek at Uttaranchal. In Jammu and Kashmir, Pensi La to Padum, Karsha to Lamayaru and Spituk to Alchi are some well known places for trekking. Sikkim is dotted with trekking trails like Darjeeling to Kanchenjunga Trek, Sikkim Darjeeling Trek, Off Beaten Treks, Singalila Ridge & Goecha La Trek, Sikkim Kanchenjunga Trek, Yuksom to Dzongri, The Goecha La Trek etc. 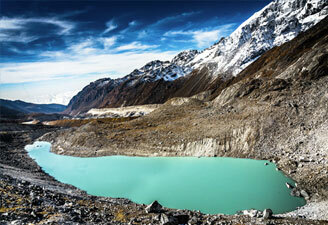 Pure air, silence of wilderness, colorful nature- trekking in Sikkim can give you the feelings of a paradise untouched. Darjeeling - Batasi - Tonglu - Sandakphu, this 6-7 day moderate trek creates an ideal for views along a standard trail. Gangtok - Pemayangtse - Yoksam – Dzongri presents an elating experience of the trekking in the eastern zone. Trekking in Ladakh includes Markha valley trek, Lamayuru-Padum route, the Stok Khangri, and on the valleys of Suru and Zanskar. The villages of Drok Pa, Nubra Valley, the Pangong Lake circuit, the Tso Moriri Lake are some other admired trekking destinations with domestic and international trekkers.